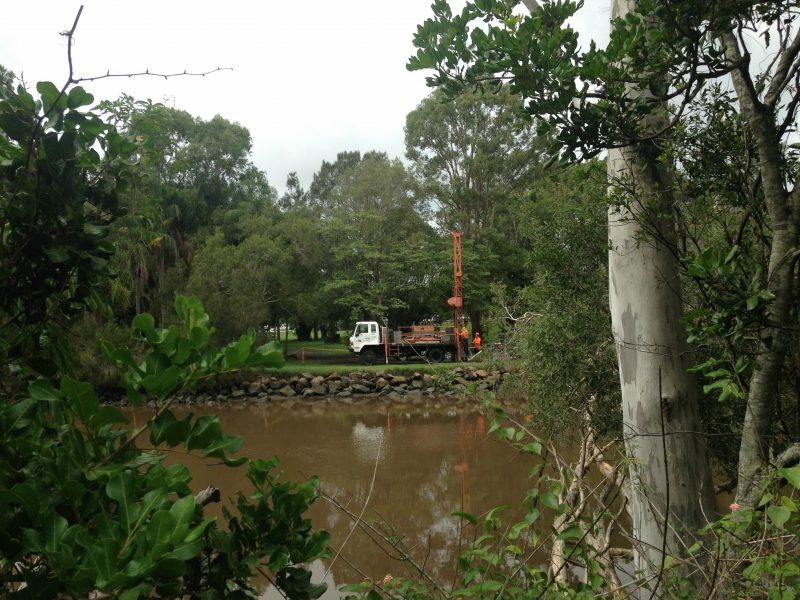 Stockton Drilling Services have been engaged by Ballina Shire Council to undertake the design of North Creek Canal by Horizontal Directional Drilling (HDD). Ballina Shire Council are required to undertake a project to connect the Lennox Head and Ballina recycled water reticulation networks. The most practical solution to provide this outcome is the installation of a PVC 200mm diameter pipeline along Bangalow Road, Ballina. 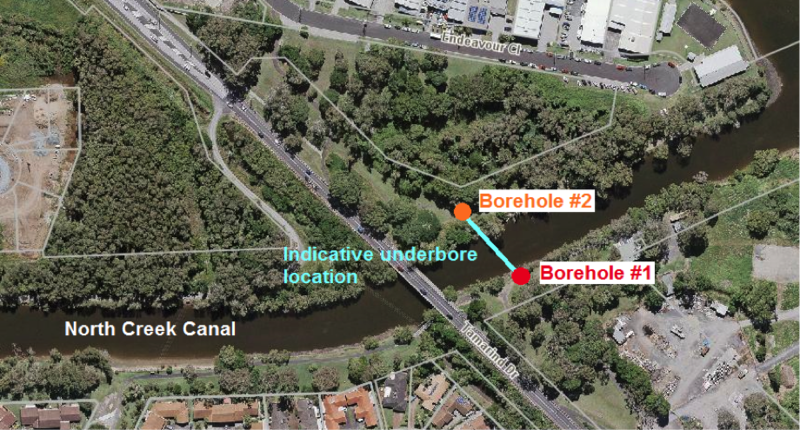 As part of the construction of this pipeline an underbore is required to cross the North Creek Canal, parallel to the Tamarind Drive and Bangalow Road Bridge. 1 Site Visit A site visit will be conducted by Charles Stockton to review the site conditions and constraints. 2 Constructability Review A review of the proposed underbore will be undertaken to determine any risks/ issues that need to be considered by the drilling contractor and/or Council. This will include a geological evaluation, development of a base case construction methodology, risk assessment, technical review and contractual / engineering risk management strategies for latent conditions. The tooling, risks and schedule impacts of drilling in varied formation will also be considered. 3 Fracture Analysis Modelling of drilling annular pressure versus ground bearing capacity will be undertaken to determine the risk of frac-out. Several crossing profiles and drilling assemblies will be evaluated to ascertain the lowest risk crossing design. Pipe stress analysis and pulling calculations will also be undertaken as part of this report. 4 Development of Budget Estimate A budget estimate (+/- 25%) and schedule will be developed for the HDD works. (This will be presented in the HDD Constructability Report). 5 HDD Design Alignments Vertical and horizontal design alignments will be prepared. This design shall be suitable to be provided to the drilling contractor and for Council design/ planning. 6 HDD Technical Specification A HDD Technical specification will be prepared to accompany the design and form the technical basis of the drilling tender. This will ensure contractor compliance with accepted best practise, design parameters, QAQC and reporting.